Deal Receive a $100 Gift Card when you sign a 4X4 lease for Fall 2017!! 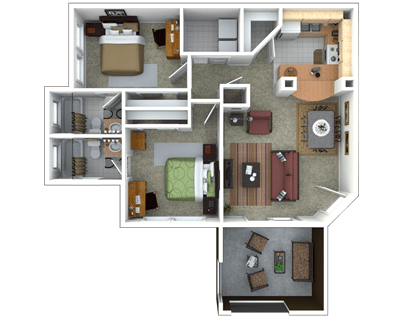 Campus Lodge offers furnished 2, 3 and 4 bedroom apartments near the University of Florida in Gainesville. Our residents enjoy the largest pool in the area, a fully-equipped fitness center, a full-size basketball court and much more! Our rental package covers cable, internet and utilities, so you can enjoy cheering on the Gators while we take care of the details. Our attentive management team hosts the best social events making Campus Lodge the ultimate hangout for you and your friends. 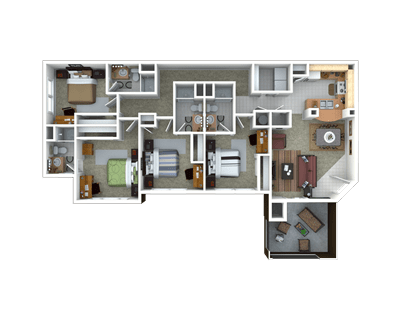 Ready to move into fun and convenient living? 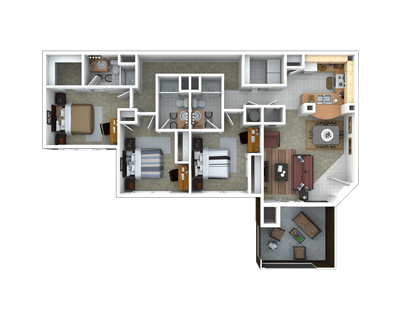 Campus Lodge is located and 3.07 miles from University of Florida. The property has a Walkscore of 16, so you will probably be driving or taking public transportation most of the time. Campus Lodge has many shops nearby. Coffee shops in the area include Starbucks, Lollicup, Volta Coffee, Tea & Chocolate. There are a number of markets in the area include Walmart, Publix, Publix Super Market at West Gate Shopping Center.